The kingdom Culture Ministries-Exploratory Study Bible-2015!!!! Don’t define yourself by your past. Define yourself by your possibilities. You can just walk away from the obligations you’ve incurred, or you absolutely can choose to honor those obligations by going above and beyond them. No matter what the past has been, Today I choose to go to the casket. Today I choose to pry that baton, capable, motivated and in position to make a positive difference in the same way. 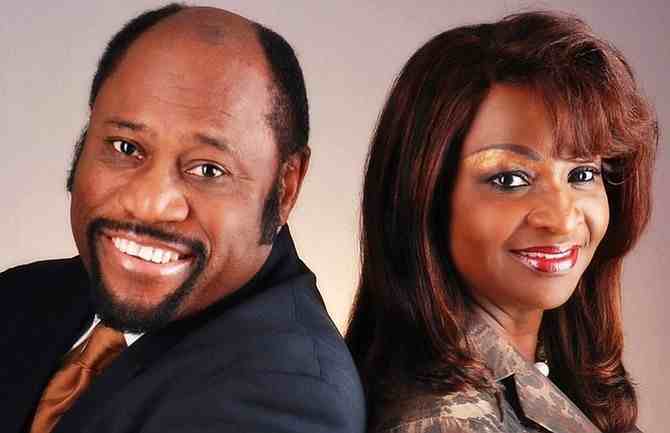 Today from the asleep man’s hands, I pry that baton and I am that “Young Person”, Dr. Myles spoke, to whom is to lead and take it to the next leg, Today I choose to dive into the fulfillment of Dr. Myles & Ruth Munroe, family, the Bahamas and the World to SEE! Laodicea- the last of the of the Church Existence!!! Laodicea- the last of the of the Church Existence!!!. Those churches that are large and wealthy are seen as particularly blessed, while those churches that are small and struggling are seen as not so blessed, and even thought of as not in the will of God as they should be. Yet, the Lord Jesus sees things entirely different. In the book of Revelation, there were seven churches that He delivers the prophetic word to. Two of these seven churches were the church of Smyrna, and the church of Laodicea. The church of Smyrna was physically poor, going through severe tribulation, and was suffering tremendously, but hear what the Lord said to them: “I know thy works, and tribulation, and poverty, (but thou art rich)…” (Rev. 2:9). Even though they are physically extremely poor, the Lord calls them “rich”, that is, spiritually. He had nothing to rebuke that church for, but rather commended them and encouraged them to persevere. But the church of Laodicea was a financially prosperous church that was rich on earth, so wealthy that they needed nothing, and the Lord said to them: “You say, ‘I am rich; I have acquired wealth and do not need a thing.’ But you do not realize that you are wretched, pitiful, poor, blind and naked” (Rev. 3:17). Even though they appeared to be blessed and physically prosperous, the Lord rebuked them sharply and called them “poor” in his sight. How many churches today are physically prosperous and have large congregations but are lukewarm and wretched in the sight of God? The prosperity preachers are frequently quoting promises of prosperity from the Old Testament and from the Law of Moses (such as is found in Deuteronomy 28). But it must be remembered that regardless of how prosperous or rich a particular saint was under the Old Covenant, that it’s not the same with every believer under the New Covenant. It’s a dangerous thing to take scripture out of context. The blessings and curses of the Law don’t apply in the same way to believers under the New Covenant. We can’t be mixing the Old Covenant with the New, the old wine with the new wine (Matthew 9:17). The New Testament teaches us that we’re not under the Law (Galatians 3:10, 4:21). It teaches that we’re “dead to the Law” (Romans 7:4). It teaches us that the Law is “done away” (2 Corinthians 3:11). It teaches that the Old Covenant is old, decaying, and “ready to vanish away” (Hebrews 8:13). It is against the teaching of the Word of God, against the New Covenant, which we are currently under, to pick and choose blessings or curses from the Old Covenant and apply them to the believer in Christ under the New. We are not under the Old Covenant any more, and none of it is binding on the New Covenant believer in Jesus who is justified freely by grace (Romans 3:24). This doesn’t mean that the Law is not important, because it is still the word of God, which remains forever (1 Peter 1:25), and has many practical applications, shadows of things to come (Hebrews 10:1), and instructions for our learning (1 Corinthians 14:34). And this doesn’t mean that we can live licentious lives because we’re not under the Law. To the contrary, we live in freedom from the dominion of sin since we’re not under the Law (Rom. 6:14). The heart of God is found in the Old Law, which believers in the Lord Jesus fulfill in the true spiritual meaning and purpose of the Law by loving God and loving others, and in that sense the Law is fulfilled in those who believe in Christ (Romans 13:10). –But we cannot take abstract promises of earthly prosperity from the Law and apply them in the same way to believers in the New Covenant, because if we are going to take some of the Law then we have to take all of it and render perfect obedience to it (Galatians 3:10). We can’t take the things from the Law that we like and ignore the things from the Law that we don’t like. Yet this is exactly what these prosperity preachers do. They take the promises to Israel for earthly prosperity in the Old Covenant and twist them to be promises for the Church in the New Covenant, but they ignore all the other things written in the Law and all it’s requirements for absolutely perfect obedience. This brings us to the point. Although it is not promised by God that every Christian prosper financially, no doubt it is evident that God does choose to financially prosper some of His children. Like Gaius, God does choose to entrust some of his children with material prosperity. But the reason why He does, again, is not so such a one can lay up for themselves treasures upon the earth, or to use what God has given them selfishly to improve their physical standard of living and live in luxury, but so that they, like Gaius, can use what God has given them to help others and to give to the work of the Lord. This is why the Apostle Paul said to the young preacher Timothy, “Charge them that are rich in this world, that they be not high minded; nor trust in uncertain riches, but in the living God, who gives us richly all things to enjoy; That they do good, that they be rich in good works, ready to distribute, willing to communicate; Laying up in store for themselves a good foundation against the time to come, that they may lay hold on eternal life” (1 Tim. 6:17-19). Paul doesn’t tell him to outright rebuke those who are rich just because they are rich, since it’s not a sin in itself to be rich, but he tells Timothy to command them not to be proud because of their riches, not to trust in their riches, and to command those who are rich that they be rich in good works, in generous giving. This is why God chooses to financially prosper some in the Church –so they can be generous with what they have and help the poor, the widows and orphans, give to those in need, and to fund Gospel workers and missionaries. This is the essence of the second greatest commandment: to love our neighbors as ourselves (Mat. 22:39). Those who are financially prosperous in the Church by the sovereign will of God are called to show with their money and material things that they love their neighbors just as much as they love themselves. What they do with their money proves how much they love their neighbors. If they are living in excessive and expensive luxury beyond what is reasonable according to the average standard of living, and they see other brothers or missionaries in need but don’t give to them, then that proves that they love themselves more than they love others. “But whoso hath this world’s good, and seeth his brother have need, and shutteth up his bowels of compassion from him, how dwelleth the love of God in him? My little children, let us not love in word, neither in tongue; but in deed and in truth” (1 John. 3:17-18). In fact, those who come to Christ and are converted who own excessively luxurious or extravagant worldly things are commanded to sell their abundances and to distribute to the poor and needy in the Church. This is exactly what the Lord told the rich young ruler (Mar. 10:17-25) and to all the disciples (Luk. 12:33). If they refuse to part with the extravagant things of this world for the sake of Christ, then they are not worthy of being a follower of Jesus (Luk. 14:33). Refusing to get rid of the luxurious extravagance and abundance is proof that they have a love for the things of this world, since they refuse to depart from such things out of love for Christ. “Love not the world, neither the things that are in the world. If any man love the world, the love of the Father is not in him” (1 Joh. 2:15). It is not that God wants us to live without our necessities being met, since God Himself promises to supply all our necessities, but the Lord wants us to obey the truth in love and give to brothers from our abundance who are genuinely in need, that there may be equality in the brotherhood (2 Cor. 8:14) and evident love shown to all the saints (Luk. 10:30-36). The Word of God is filled with warnings against covetousness, in both the Old and New Testaments. Yet, despite these clear warnings, many of those who call themselves ‘Christians’ live lifestyles that can’t be defined in any other way except ‘covetous’. In fact, though they won’t outright say that they are covetous, many of them will openly admit that they are by the very definition of the term. The word “covet” literally means, “to desire or wish for”. It means exactly the same thing in both Hebrew and Greek, the languages in which the Old and New Testaments were written. So when a professing Christian looks at a nice car going down the street and expresses desire to have one like it for themselves, they are coveting. When a professing Christian says that they want more money or material things to lay up for themselves or their families, and they truly desire such things in their heart, then they are coveting. “Mortify therefore your members which are upon the earth; fornication, uncleanness, inordinate affection, evil concupiscence, and covetousness, which is idolatry: “The faith and love that spring from the hope stored up for you in heaven and about which you have already heard in the true message of the gospel that has come to you. In the same way, the gospel is bearing fruit and growing throughout the whole world—just as it has been doing among you since the day you heard it and truly understood God’s grace.” (Col. 3:5-6). Here the sin of covetousness is grouped in the same level with fornication, with lascivious living and practicing immorality. We are commanded to mortify, or put to death, any desire within us that we find desiring to covet anything. It says that if we are given to covetousness, that the wrath of God will come upon us. This “wrath” is eternal destruction and punishment in Hell. –This is how serious God views the sin of covetousness. It doesn’t matter if someone calls themselves a “Christian”, it doesn’t matter if someone is a preacher, it doesn’t matter if they have a large ministry and many people like them; if they are given over to a covetous heart they will face the wrath of a holy God against such sin. God hates covetousness just as much as He hates fornication and murder. And notice that the Scripture says: “…and covetousness, which is idolatry”. It calls covetousness “idolatry”. This is especially significant because idolatry is one sin that God particularly hates. The Lord tells us that He is a jealous God and that He will not share His glory with anything or anyone else. He demands our absolute and sole devotion and gets provoked to jealousy whenever something else is desired in place of Him. Those who desire to increase their material worth and desire the things of this world are idolaters in the sight of God. Many Christians look up to these famous preachers with huge ministries who are living in luxury and extravagant abundance, who openly say that they want more money and continually ask their audiences to give them money –Many Christians look up to them as great men of God, but the true God of Heaven looks down on them as idolaters provoking Him to jealousy by clinging to and promoting Mammon. A particularly enlightening Scripture on this subject is found in Hebrews 13:5: “Let your conversation be without covetousness; and be content with such things as ye have: for he hath said, I will never leave thee, nor forsake thee.” It commands us to have our conduct free from desiring money or material things, and on the flip side commands us to “be content with what you have”. In other words, we are either one or the other; we are either content with what we have, or we are covetous. There’s no middle ground, no serving both God and Mammon. We are able to be content solely in Jesus, and in the love of God, because the Lord has promised never to leave us or forsake us. Our satisfaction, joy, pleasure, and contentment should be solely in Him and not in the things of this world. God doesn’t want us to be miserable in our poverty (if poverty is our appointed lot); instead, He wants us to glory and take joy in it because whether we have little or much, we’re content with knowing Him! In fact, this was written to Hebrew Christians who had just previously suffered the loss of all their earthly things! The author of the epistle says to them: “(you) took joyfully the spoiling of your goods, knowing in yourselves that ye have in heaven a better and an enduring substance” (Heb. 10:34). They were able to suffer the loss of all things and to take it joyfully without coveting them back, knowing that they had a much greater possession in Heaven waiting for them, being content with the love of Christ in their hearts. The Apostle Paul wrote to the Corinthians, saying: “But now I have written unto you not to keep company, if any man that is called a brother be a fornicator, or covetous, or an idolater, or a scoffer, or a drunkard, or an extortioner; with such a one no not to eat. For what have I to do to judge them also that are without? do not ye judge them that are within?” (1 Cor. 5:11-12). He clearly tells them not to fellowship with a professing Christian who is covetous. It is such a serious sin that it should exclude one from being allowed to fellowship with the Church. We observe by this saying that there must be some way to tell if someone is covetous. There must be some basis of judgment (of making righteous judgment based on the evident fruit in one’s life, comparing it to what the Word of God says). Obviously, we are called to recognize those who desire to have more money or material worth in the Church, who constantly desire more, or who are living extravagant lifestyles with abundant riches, and to warn them sharply with the Word of God, and if they don’t repent, to break fellowship with them. Why is this not practiced in much of the Church today? Why is the sin of greed often smiled upon and approved of and even promoted from the pulpit by numerous appeals to people to give, give, and give? Far from being expelled from the Church, covetousness is often promoted in the Church! In Exodus 32, the children of Israel took all their gold and made an idol out of it. They made a golden calf for themselves and said, “This is your god, O Israel, that brought you out of the land of Egypt!” They even called it “Jehovah” (Ex. 32:5). But even though they called it “Jehovah” and praised it as the god who delivered them from Egypt, it was only an idol and the anger of God waxed hot against them. And this is exactly what is happening in much of the Church today. These prosperity preachers and deceived leaders have taken money and gold and fashioned a god out of it for themselves and for their congregations, and have shouted all over the world, “This is your god, O Church!” They say they serve the true God, “Jehovah” but they really serve an idol of gold and materialism. They’re serving another god, the god of Mammon. They serve “another Jesus”, they have “another spirit”, and they preach “another gospel”, and just as the Apostle Paul said, the people receive them gladly (2 Cor. 11:4). The prophet Isaiah said, “His watchmen are blind: they are all ignorant, they are all dumb dogs, they cannot bark; sleeping, lying down, loving to slumber. Yea, they are greedy dogs which can never have enough, and they are shepherds that cannot understand: they all look to their own way, every one for his gain, from his quarter” (Isa. 56:10-11). This is the state of these churches where these prosperity preachers are overseeing. They are blind and ignorant; they cannot see any danger approaching, and they can’t recognize the subtle tricks of the enemy to deceive people. These preachers are dumb dogs that cannot bark; they don’t give any warning of danger approaching, they don’t preach against sin and warn people to flee the wrath to come. They rarely preach on the Judgment or on Hell. Instead they are in a spiritual slumber and aren’t prepared themselves for the coming of the Lord. They love to slumber, they love their ease and prosperity and luxurious living. They are greedy dogs which can never have enough as they are constantly exploiting people to give more and more money into their ministries, accumulating more treasure on earth and increasing their luxurious lifestyles more abundantly as time goes on. They are shepherds who can’t understand the true things of God and are constantly looking not for the well being of the souls of the flocks they are preaching to, but are constantly looking for their own selfish gain. This is a terrible grievous thing in the modern Church. It should cause us in the fear of God to withdraw ourselves from those who are perverting the ways of truth. It should break our hearts and move us to pray and labor to bring our brothers and sisters out of this end-time deception. We dare not compromise our stance against this “gospel” of greed when the Scriptures are so clear against it. If we compromise then we, too, are in danger of being deceived, for if we fail to receive and act upon the light that we have been given, even what we have been given may be taken away (Luk. 8:18). One must take up the sword of truth, which is the Word of God, and in love fight against this demonic activity that have infiltrated the Church? –Not to be contentious, or in a vengeful spirit, but in true and sincere love and compassion to correct that which is false and leave the results up to the Lord. We don’t need to worry about whether they listen or not, because we’re just called to be faithful to the truth. The Lord has all the rest in His hands. “Your boasting is not good. Don’t you know that a little yeast leavens the whole batch of dough? Get rid of the old yeast, so that you may be a new unleavened batch—as you really are. For Christ, our Passover lamb, has been sacrificed. Therefore let us keep the Festival, not with the old bread leavened with malice and wickedness, but with the unleavened bread of sincerity and truth”. (1 Cor. 5:7). but why, you ask, should we put so much emphasis on the “Second Coming” of Christ’? Why not talk and preach about the practical affairs of life? About the social and commercial problems of the world and their solution through the Gospel? The answer is that the only way to solve these problems is for Christ to return, and the longer His “Return” is delayed, the longer it will be before these problems are solved.